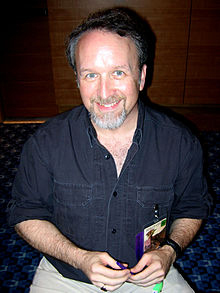 Michael A. Stackpole is a New York Times bestselling author and award-winning novelist, graphic novelist, podcaster, game designer, computer game designer, and screenwriter. He is best known for his work in the Star Wars universe. He has worked in the franchise worlds of Conan, BattleTech, ShadowRun, Dark Conspiracy, World of Warcraft, and Magic: The Gathering. In 1993 he was inducted into the Academy of Gaming Arts and Design's Hall of Fame.